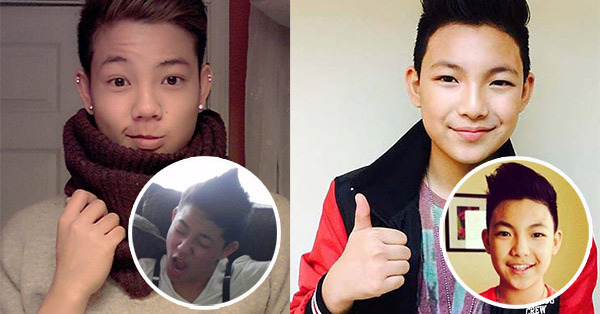 Richard Chao, who looks a lot like Darren Espanto, has finally spoken to end up rumors that the young singer was involved in a photo scandal. Screenshots allegedly showing the 14-year-old The Voice Kids alumnus having a private moment with another man spread via social media like wildwire recently. The Scourge of Tangamilyas Facebook page, where the grabbed images first appeared, claimed that the pictures were taken from a video which was recovered from the guy's lost phone. The claim turned out to be fake. "Hey these pictures are mine from six years ago," Chao commented. "These are not pictures of Darren Espanto." The openly proud gay urged netizens to "not believe whoever is spreading this rumor." After Chao claimed ownership of the alleged scandal photos, fans said there's no need for Darren to air his side.